NiteRider® is proud to introduce the Swift™ 450. Delivering everyday reliable performance in an economical ultra compact head light. Sporting features like an easy on and off handlebar strap mount, low battery indicator and to top it off, it’s USB Rechargeable; making it the perfect light of choice for commuters and cycling enthusiasts. 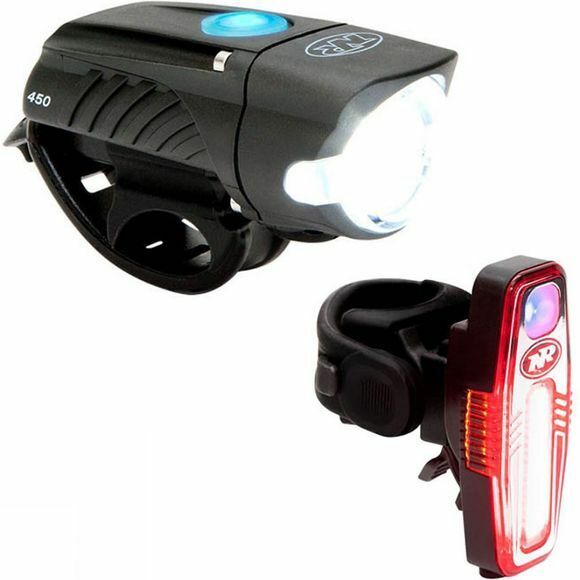 Although small in size, make no mistake, the Swift™ 450 packs a big punch with a maximum light output of 450 lumens! Powered by an internal Lithium Ion battery, in Walk Mode, the Swift™ 450 can run for up to twenty one hours thirty minutes before it needs a charge.